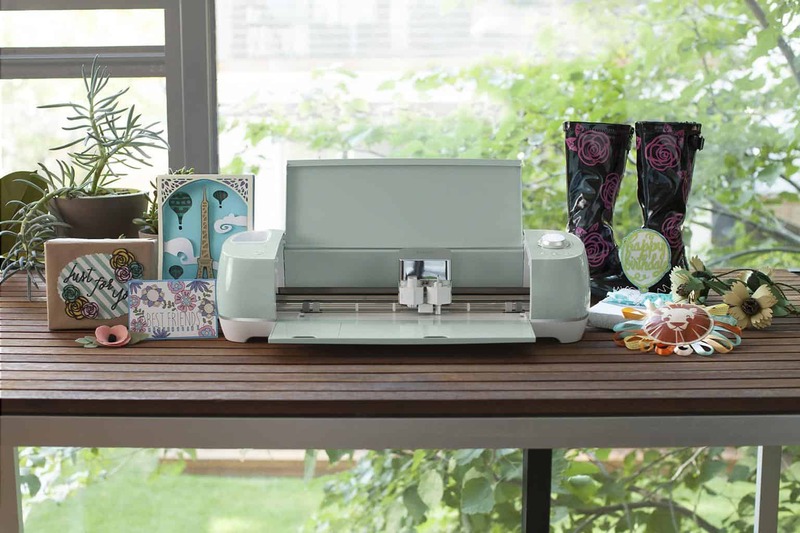 This top selling machine is 2 x faster than its predecessor the Original Cricut Explore Air. It’s like a crafting machine on speed haha! What a brilliant upgrade from Cricut! Not only is the latest Explore Air 2 Cutter faster than the previous model, but it still delivers those beautiful intricate precise cuts that we all love so much as Cricut fans! Some other features of this leading DIY home vinyl cutter include Bluetooth functionality, the ability to cut, draw and score and the versatility of this machine for doing a large variety of crafts. This brilliant machine has the ability to cut over 100+ materials and is our favorite machine when it comes to desktop vinyl cutters! There are also some gorgeous Cricut Explore Air bundle deals! So is the Cricut Explore Air 2 Worth it? Watch the short Explore Cricut Air 2 review of the top features in this video below! Explore Air 2 is a top rated desktop vinyl cutter machine. It features wireless connectivity, precision cutting and easy to use software. If you are after an easy-to-use and super versatile machine, then this is the one for you! Built-in Bluetooth connectivity, faster precision cutting, ability to score, draw and cut, freedom to download fonts and create custom artwork to use, cuts over 100+ materials. Below you will find our detailed Cricut Explore 2 Review. 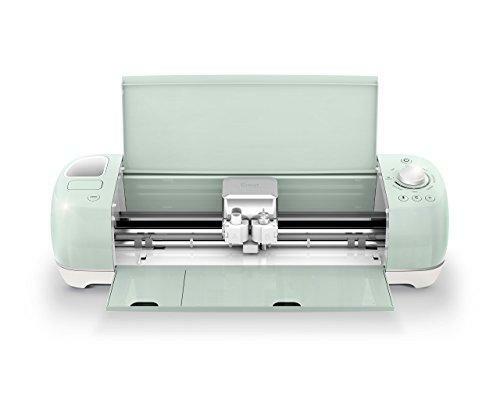 will also give you suggestions of who this Cricut vinyl cutter would be perfect for; in order for you to help figure out if this machine is the right match for you! You can see how this machine stacks up to other Cricut machines in our Cricut reviews and comparisons guide. 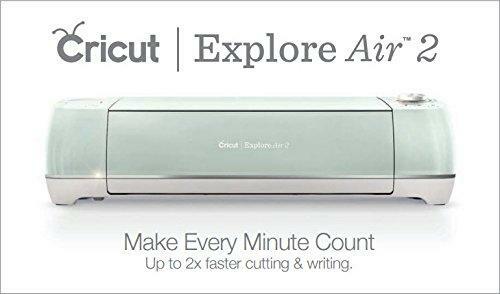 The Cricut Explore Air 2 features a brand new feature that allows you to cut twice as fast! We tested this feature on the recommended materials (vinyl, iron-on, and cardstock) and it drastically reduced down the waiting time! This is brilliant news for small business owners as we all know that time is money! If you have used a Cricut explore machine before you will know how brilliant the Smart Set Dial is. This dial allows for automatic settings for different material. All you have to do is to select the material you will be using, and the machine will work out the cutting force for you! So clever! Whilst the Bluetooth functionality is not new, it is worth mentioning that it has this nifty feature! I love the flexibility of being able to place my vinyl cutting machine well out of the way from my working desk space. So incredibly handy! The Cricut Explore Air 2 comes with only one blade, a German carbide premium blade. If you wish to work with thicker materials you will need to purchase the Cricut Explore Air Deep Cut Blade additionally. 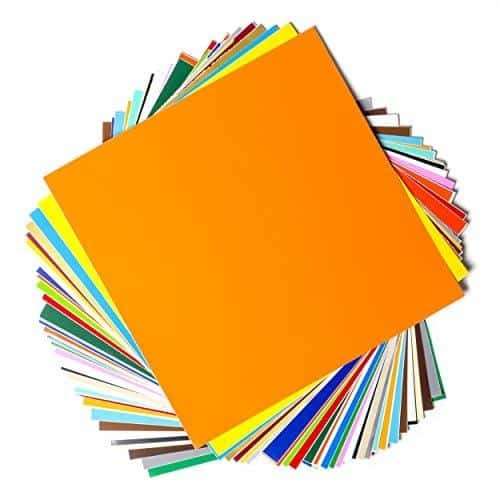 The Deep Cut Blade is truly affordable and will give you the flexibility to cut thicker materials such as a magnet, chipboard, stamp material, thick cardstock, stiffened felt, foam sheets, cardboard, fabric, and other thicker materials. The blade will provide clearance for thicker materials up to 2.0mm. Click here to see which blades are compatible with the Explore Air 2. This gorgeous machine has the ability to draw, score or cut! We love the double tool holder for cutting and writing or cutting and scoring, which allows you to do two things in one easy step. If you wish to draw, you will need to grab yourselves some Cricut Explore Air Pens. If you are after more versatility, the Cricut Explore Air Pen Adapter will allow you to use extra pens such as Crayola Markers, Sharpie Ultra Fine Point Pens, Sharpie Fine Point Markers, Gel or Ball Point Pens. We also love the handy Cricut print and cut feature, where you can print an image that has registration marks and then you can pop it in the Cricut machine and it will cut it out for you! What can Cricut Explore Air 2 Cut? This new Cricut Air Explore 2 is a great machine for those who wish to work with a wide range of materials. It has the ability to cut over 100 materials; from thin vinyl to thick leather, metal & foam. You can find an extensive list of the materials that the Cricut Machine can handle here. A top difference between the Cameo 3 Silhouette vs Cricut Explore Air 2 is that this Cricut machine can handle the thicker materials really well (although you will need to purchase the Deep Cut Blade additionally), whilst the Cameo will struggle to give you a clear cut! The maximum cutting size of the Cricut Cutter Machine is 12″ x 24″ long. This is a pretty standard size for a personal vinyl cutting machine and will be sufficient for most craft enthusiasts. You will either hate or love the Cricut Explore Air Design Space. Beginners will most likely love the fact that the software is super easy and straightforward to use! You can also use your own images and fonts for free or you can Cricut images from cartridges or the Cricut store. The software also contains 3,000+ ready-to-make projects and quick cuts to help you get started ASAP. For the more advanced users who love using programs that they know in-and-out, you will be frustrated to know that the Cricut machine has been designed to only work with their software only, so no Adobe Illustrator or CorelDraw access for you! The Cricut Explore Air App is really nifty too, as it allows you to sit in front of the TV and work on your iPad or iPhone before sending your creations wirelessly to the vinyl cutter. Unfortunately, though, this app is not available worldwide and their Android App is still in the Beta phase. Your Cricut Air Machine comes with a 1-year warranty. You will also have access to their Help Centre, their ‘How-To’ tutorials as well as videos on how to set up the Cricut craft cutter properly. If you are wondering where to buy your Cricut Explore Air 2, we highly recommend Amazon. You can often receive free postage on these machines as well as get their great 30-day return. 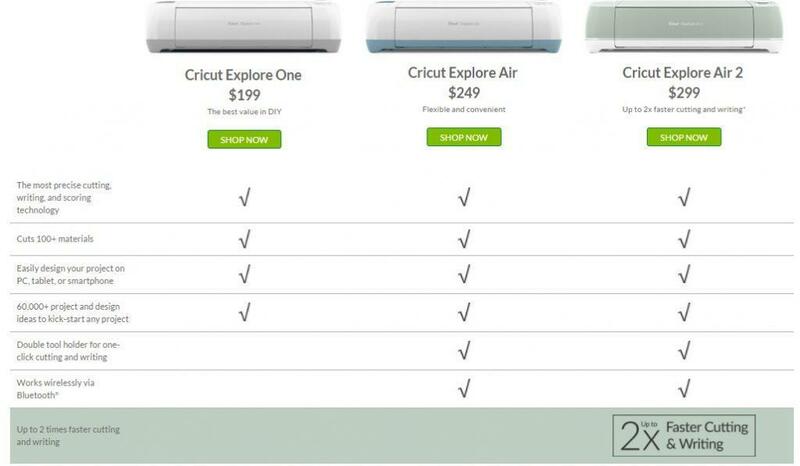 You can click here to see a comparison of the best price on Cricut Explore Air 2 machines. Alternatively, you might wish to purchase the Explore Air 2 Machine directly from Cricut itself. Another tip is to sign up for their newsletter and they will give you $10 off your first purchase as a ‘thank you’. You can watch this short video to see the Cricut Explore Air setup for that first cut! You can also find heaps of Cricut Explore Air tutorials for beginners on the official Cricut website. Cricut has created this super handy chart to outline the difference of the Cricut Explore One vs Cricut Explore Air vs Cricut Explore Air 2. 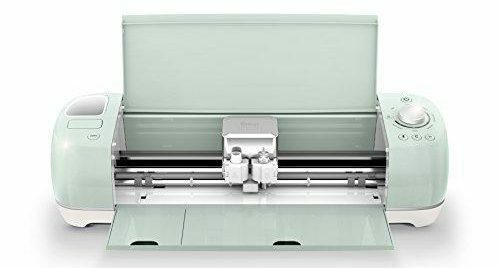 Below you will find our Explore Air 2 Cricut machine review; focusing on the pros and cons of this machine together with information on who this machine would be perfect for. The biggest selling point about this machine is that it now offers super speedy cutting. This is the machine for you if you are after super intricate designs. Its precision cutting is second to none and always delivers superior cuts! This machine’s remarkable ability to handle over 100 materials is definitely impressive! It is also our top choice machine when it comes to working with thicker materials. The freedom and flexibility of being able to download any font means that this is one of the best vinyl monogram machines on the market. The ability to create custom designs is definitely a selling point as well. The compromise of the faster cutting system means that the machine is slightly noisier than its predecessor. For us, not such a major issue, but if this machine will live in a workplace environment it might be problematic. We would have loved to have seen flexibility in using other software with the machine. It is also a shame that the App is not available worldwide and neither is the Android app out yet. Whilst the cutting size is decent for a desktop vinyl cutter, when it comes to the print then cut feature, the size becomes restrictive. Google Chrome: 5.5″ x 8″ and Firefox, Internet Explorer, Safari: 6″ x 8.5″. 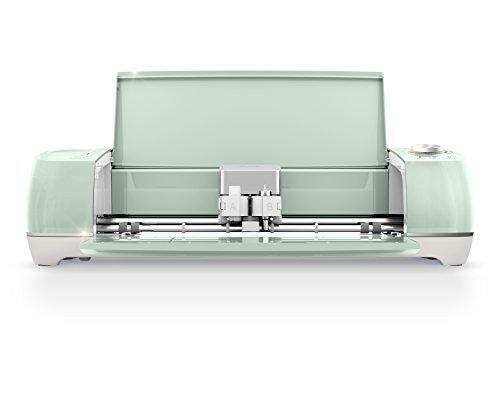 This Explore Air 2 Cricut Machine is probably the best selling vinyl cutter for desktop use. This machines excels in offering top notch features and specs. The machines is perfect for a large variety of crafters. The only reason why this machine will not be for you is if you prefer working with your own choice of software. Whilst the cutting size of 12″ x 120″ is perfect for most of us, if you are hoping to work on larger scale designs, then this might be limiting for you. You can click here to find the current best deals on the Explore Air 2. If you are after some great bundle deals to save you money, please scroll down to our deals and accessories below! Q: What blade comes with the Cricut Explore Air 2? A: It comes with a German carbide premium blade. Bundle deals are always excellent for those who are purchasing their first vinyl machine. Cricut Explore Air bundle deals are guaranteed to save you lots of money and it makes it super easy for you to simply set up your machine, grab your vinyl from the kit and get cutting! 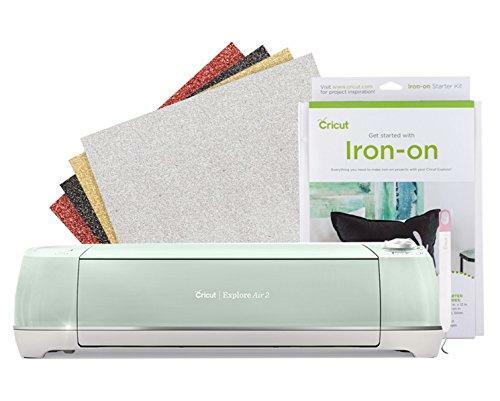 Another very popular bundle deal is the Cricut Air 2 Iron-On Starter Kit. This bundle is perfect for those who wish to work with transfers for t-shirts, throw pillows, bags and more! The kit includes 4 sheets 12×12 iron-on in Black, red, silver, gold and a weeder tool. –>>> CHECK OUT THIS DEAL ON AMAZON NOW! 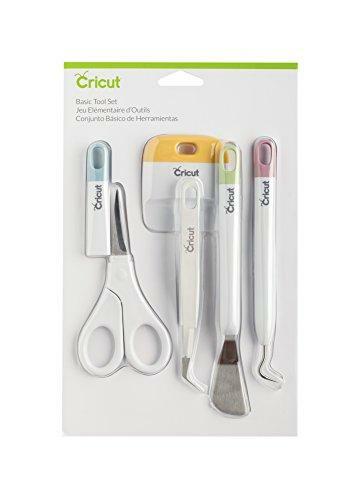 Grab all the handy Cricut tools in one handy set! Includes the following Cricut Tools: Scissors with protective blade cover; Tweezers; Weeder; Scraper; and Spatula. Your Cricut Explore Air 2 has the ability to work with the Cricut Cartridges. Browse this range by clicking the link below. If you are after vinyl for the Cricut Explore Air, we cannot recommend this great vinyl bundle highly enough! 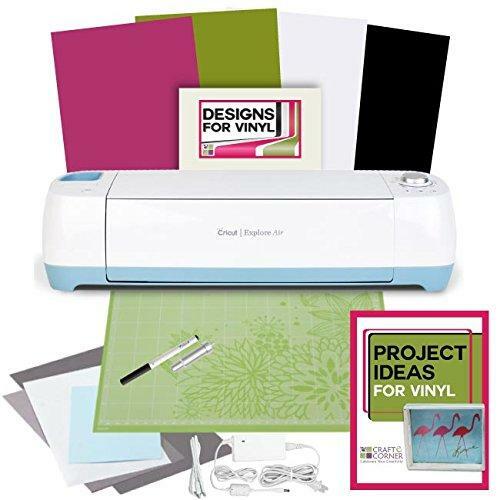 This cheap Cricut vinyl bundle includes 40, 12 x 12″ sheets in 30 different glossy colors, 2 matte colors, and 3 metallic colors. Did you find our Cricut Reviews and Comparisons helpful? 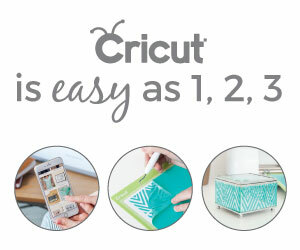 Can you add any helpful information to our Cricut Explore Air review? 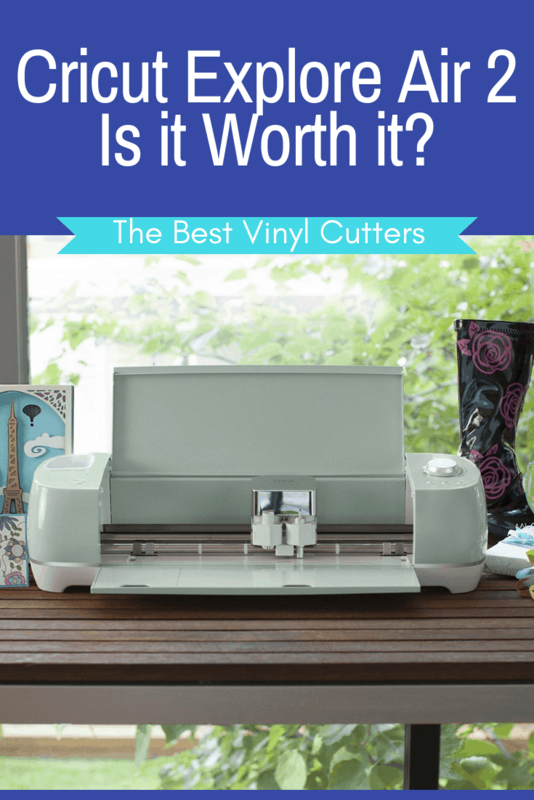 Will you be purchasing a Cricut Explore Air 2 vinyl cutting machine?